There is no battle more intense than a showdown between two fashion divas. Fashion Cup is not your average dress-up game. Available on Android and iOS platforms, Gamegos’ mobile title is all about stomping the competition in style. You get to play as a budding Hollywood girl whose fashion sense is about to take her places. Dress up your character and sashay your way onto various events. Whether you are working out at the gym, getting your hair done at the salon, or attending a red carpet premiere, you must always look your best because all eyes are watching. Go on a shopping spree to ensure your wardrobe is up to date. Don’t forget to put on makeup and complete your look with accessories. Is your fashion sense on point or are you headed for dress up disaster? 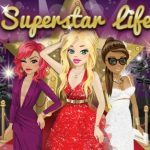 Make sure you check out our compilation of Fashion Cup cheats, tips and tricks to help you get into the A-list! The first thing the game teaches you is how to participate in an event. You tap on a theme then dress up your character accordingly. Once you are satisfied with your look, you can submit for voting. Depending on the event, voting will take some time. Once it is done, you will be given a rating based on your chosen outfit. You earn stars, experience, cash, and, hopefully, some ribbons. 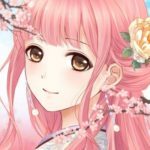 What the tutorial does not teach you, however, is how to get your ratings up. You need to score a 4 or a 5 in order to earn a ribbon. You will find that this is not easy to accomplish after the tutorial event. Majority of your score will come from votes. It can be difficult to control, but you just need to dress up your character according to the theme and as best as you can. We will discuss voting more later on, so you will understand how other voters think. To push your rating further up, you need to meet the other criteria. First, make sure you use fresh clothing. The piece of clothing should have a flame icon to indicate that you have not worn it in other events. Second, make sure your outfit matches. It will not always be possible early in the game when you have limited wardrobe options but try to match the theme as much as you can. Make sure you also use pieces that have the same icon on the top left. Finally, use items that you won from chests as much as you can. These give you bonus points compared to those you purchase from the stores. The game does a great job of motivating players to vote often. You get a lot of benefits from voting. First, every time you make a popular vote, you receive some cash and experience. You also fill up a reward bar at the top of the screen. Hitting milestones in the reward bar will allow you to earn the indicated prize. What you are after, however, are the mystery chests that you can earn from completing a round of votes. You can earn up to three mystery chests every four hours, so don’t miss your chance. You can still earn more experience, money, and tickets if you continue to vote after getting the three chests. Keep on voting if you don’t have anything else to do. You are probably wondering what a popular vote is. It simply means you vote for the one most other people vote for. It is often easy to tell which one to vote for. Girls with more accessories such as wings and pets often have the popular vote. The exception to this is when they completely disregard the event’s theme. Just try to guess which outfit is more appropriate for the theme and you should be able to get the votes right. There are two ways for you to get new clothes in the game. The first one is by opening up mystery chests. These chests can often be won as rewards from other areas of the game, but you can also open them up by spending Diamonds, the game’s premium currency. As we mentioned above, you get bonus points for using outfits that were won from chests, so make sure you open up a chest as soon as you receive one. You will know that a chest is waiting for you if there is an exclamation mark on the Mystery Chest building on the map. The second option for getting more clothes is to simply buy them from the stores. You open up new stores by leveling up or by reaching certain ranks in the Fashion Arena. Make sure you go shopping every time you unlock a new store. You can also go shopping in the middle of an event if you need a new piece to complete your look for the theme. The arena is the ultimate battlefield for fashion divas. Upon entry, you will be given three possible opponents. Always choose the one that you can defeat for certain. You will see each fashionista’s current rank, the reward you get for defeating them, and your chances of winning. Don’t bother gambling for the sake of getting a bit more cash. What you are really after is the end of season rewards, so make sure you climb the rankings by going slow and steady. Once you have chosen an opponent, you will be taken to the next screen where you will find a wheel. Spin the wheel in order to start the duel. Different aspects of your characters will be compared depending on where the wheel stops. This is where all the previous tips will come in. Categories include the number of stars earned in events, the number of votes made in the last seven days, wardrobe value, ribbons earned, and so on. If you have been diligent in following our first three advice, you should be able to do well in the Arena. One more thing that could give you an edge is getting more of your Facebook friends to play the game. It is one of the categories in the duel and a lot of the opponents you will face early on will have zero friends. It’s an easy win for you if you manage to convince even one friend to play the game. Fashion missions let you earn cash, experience, and other items. You are given four options when you enter the fashion missions menu. While the destinations change regularly, the timers are always the same. You get to go on a mission for 15 minutes, 2 hours, 4 hours, or 8 hours. You can rank up by meeting the career advancement criteria. The higher your career rank is, the more rewards you earn from missions. If you want to know what you need to do to go to the next level, just tap on the career button at the top of the screen. There are a couple of freebies that you can get on a regular basis. The first one is the Watch & Win section on the map. Tap on it to view the available reward. If you want to get it, just tap on the Watch button and a video advertisement will play. Once the video is done, you will be able to receive the indicated prize. The second freebie you get is the daily login reward. You get to choose a gift box when you log in for the first time each day. You could win cash, Diamonds, and other items from the daily login. If you want another chance to open up a reward, just tap on the Watch & Open button on the lower right of the Daily Gift window. An advertisement will play and you will be able to choose another gift box afterwards. When you check the bottom left corner of the main screen, you will see a checklist icon labeled Tasks. Tap on it to view the list of Daily and Weekly tasks. As the name suggests, Daily tasks are those that you need to complete within the day. Each Daily task you finish will reward you with cups. Once you complete all tasks for the day, you will earn 20 cups and a Seasonal Chest. Weekly tasks, on the other hand, give you seven days to complete everything. You earn a few Diamonds every time you accomplish a Weekly task. It may not seem like much at first, but they will eventually add up. Once you complete all the Weekly tasks, you will be rewarded with 100 cups and a Rainbow Chest. At the bottom of your screen, you will sometimes notice an icon with a timer on it. Tap on it to view the current Throwback Offer. These often give you several fashion pieces, an energy potion, and a lot of cash, all in one package. Throwback Offers cost Diamonds, but considering the value of each package, they are always worth it. Instead of spending Diamonds on individual pieces in the stores, just hold off until you receive the Throwback Offer that you like. 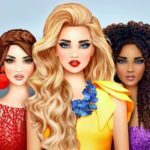 Get ready to become the ultimate Runway Queen in Fashion Cup! Just follow our list of tips, cheats and tricks listed above and you will be climbing to the top of the fashion world in no time! Do you have other tips or tricks to share? Let us know below in the comment section!